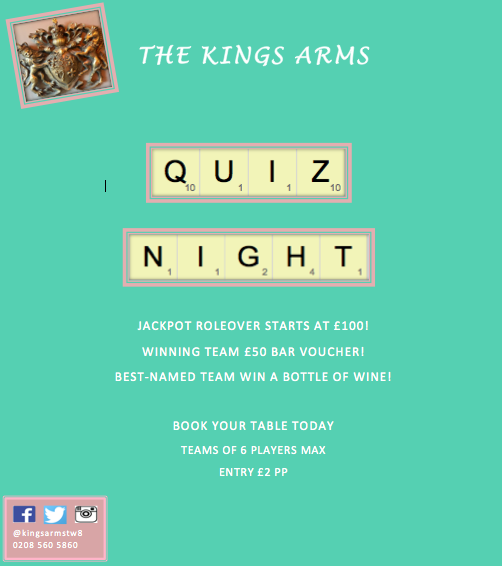 Come to the Kings Arms at 6.30pm for our Quiz Night. JACKPOT ROLEOVER STARTS AT £100! WINNING TEAM £50 BAR VOUCHER! BEST-NAMED TEAM WIN A BOTTLE OF WINE! Book your table today. Teams of 6 players max. Entry £2 pp.